Sprays, bleach, laundry detergents, window cleaners – the number of chemicals we introduce into today’s households is mind-boggling! 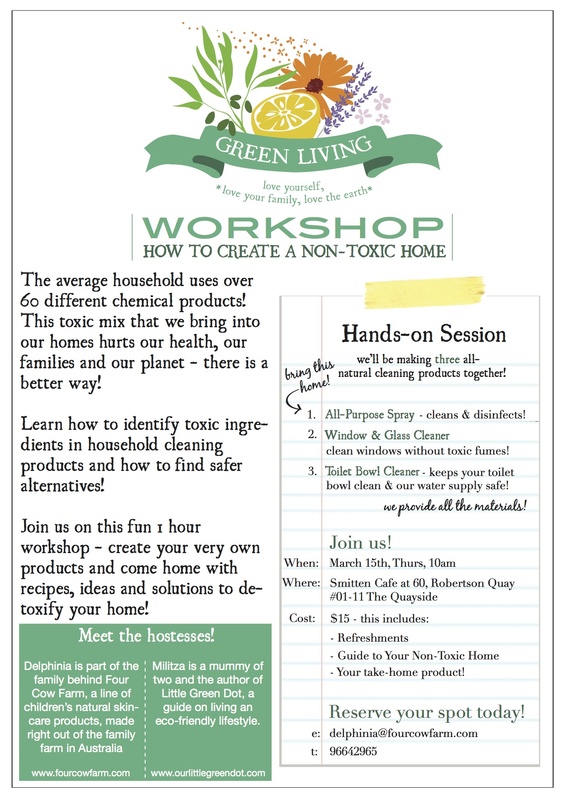 Come join us for a fun workshop where we’ll decipher what’s in those bottles under your sink, and what their effects are on your health and our planet. You’ll also learn to make a few all-natural cleaners with ingredients you’ll find in most cupboards, including one that you’ll get to make and take home with you. Refreshments and all materials will be provided! For more details and how to sign up, click on the brochure below.